This fall, Comet Over Hollywood is doing a mini-series of “Classics in the Carolinas.” I’ll be spotlighting classic movie related topics in South Carolina (my home state) and North Carolina (where I currently live and work). 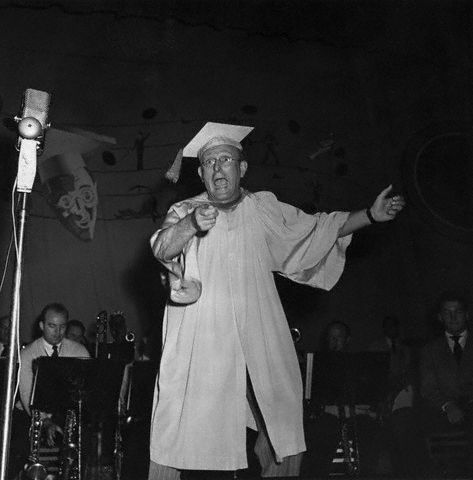 “The Kollege of Musical Knowledge” wasn’t the only colligate education 1940s bandleader Kay Kyser received. He was also a 1928 graduate of the University of North Carolina (UNC) in Chapel Hill. Born in Rocky Mount, N.C. in 1905, Kyser’s mother, Emily Royster Kyser, was the first registered female pharmacist in North Carolina. Kyser entered UNC in 1923 set on receiving a Bachelor’s degree in law, according to the website “A Tribute to Kay Kyser.” However, Kyser switched his major to economics because “the legal profession meant lots of work,” he said. Kyser was selected to lead the band because of his popularity on campus was hoped to bring out large audiences. After graduating from UNC, went on the road with the band but didn’t really take off until the mid-1930s when Kyser hired girl singer Ginny Simms and trumpeter Ishkabbible (real name Merwyn Bogue). Kyser’s zany style of music is what made him popular. Kyser starred in several Hollywood movies as himself such as “Playmates” (1941) with John Barrymore and “That’s Right-You’re Wrong” (1939) with Lucille Ball. 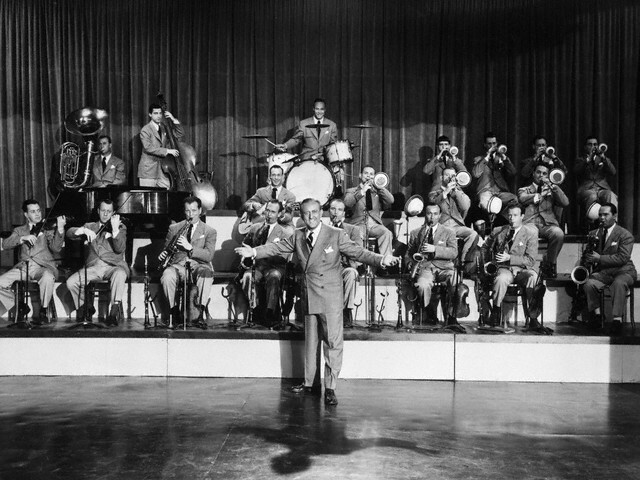 He also traveled abroad during World War II, performing for service men. But after World War II ended, Kyser retired to Chapel Hill, N.C. with his wife, who was also the band’s singer, Georgia Carroll in 1951. My mother and grandparents lived in Chapel Hill and would sometimes see Kay Kyser in the grocery store, and also went to the same Lutheran church as his wife. My grandmother said “Gorgeous” Georgia Carroll was just as beautiful in person as she was on screen. Kyser passed away in 1985, and Carroll remained in Chapel Hill until her death in 2011 at the age of 91. Carroll donated 334 photos and other Kay Kyser artifacts to the Chapel Hill University. This entry was posted in Classics in the Carolinas and tagged Kay Kyser, UNC, University of North Carolina by Jnpickens. Bookmark the permalink. Wanted to let you know how much I’ve enjoyed reading through your posts. I especially like the Carolinas series, as I used to live near Southern Pines and enjoyed the area very much, Thank you and keep up the good work! Thank you, David! I’m glad you’ve been enjoying it!